Ms. Gockel loves to hear from readers. She can be reached by email at: cgockel – dot – publishing – at – gmail – dot – com and on her Facebook Page. Why did you want to make a bestseller list? Can you outline the strategy you used to achieve your goal? Were there certain lists you wanted, were you just going for best sellers generic? Do you think genre plays a part in it? What made you pick that bundle? On top of market research, how much research on the Norse pantheon and mythology did you do before writing the I Bring the Fire series? 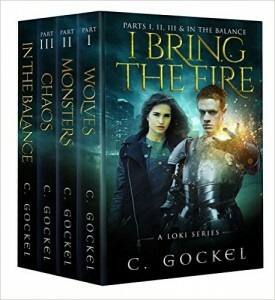 Now that so many people have bought and read your bundle, do you plan to write more for the Loki series? From Cate: In all this furor of focusing on hitting USA Today, how much did reviews factor into that and how did she go about getting them? From Sandy: How does one get Apple, Nook, or Kobo to feature you at the same time? What kind of magic does that take? Are you planning to go for the best seller list with your next book? 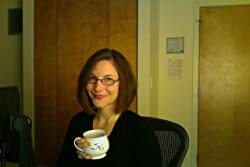 From AuthorAbilene: How many words and pages are her books on average? Do you think it’s beneficial to write short stories? From John Monk: do you think the Loki/Norse/Myth “genre” is too saturated? 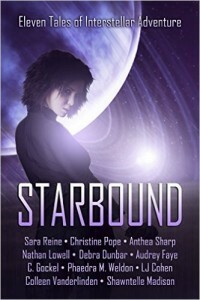 Chrishaun broke Carolynn when she asked: Tell us about your writing process… pantser or plotter, do you use betas? And do you schedule your writing? Who, if anyone, was your inspiration to try for the best seller list? Kboards has helped you in a lot of ways, can you tell us about that? What is your takeaway from that giant experiment? For your next major promotion, what steps are you going to take that perhaps you didn’t take advantage of the last time? Can you take us through what you were thinking and feeling as you went from Monday to the deadline on Sunday? Do you believe there are certain things you can replicate to get the same results over and over? What would you recommend to people who are just starting out with their first or second book to increase sales? 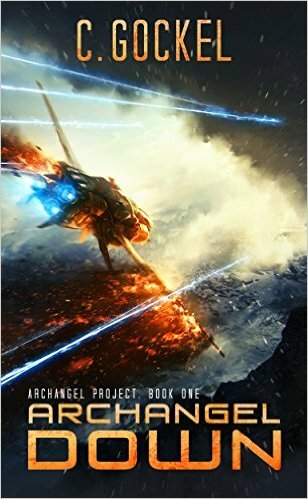 How much of a difference are you finding between the markets for the urban fantasy to the alien contact? From John Monk: What is your favourite colour? when we interview Trish McCallan.